If your home or business in Plainville has become temporarily unusable due to a fire, flood, or natural disaster, you’ll need somewhere safe and secure to store your belongings. That’s where we come in. 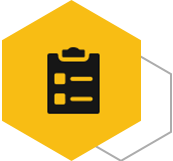 At Yellow Box, we offer spacious and portable storage units to meet all of your storage needs. 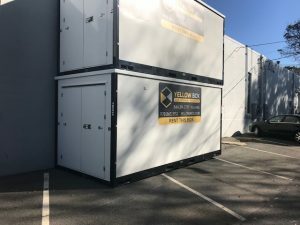 Each Yellow Box self-storage unit is safe, secure, and can fit just about anything in it.Whether you need to store your household goods or business furnishings, equipment, supplies, and inventory, our Yellow Box mobile storage units provide ample space for a variety of items. 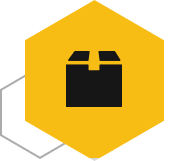 Each storage box has been constructed with durable materials, and feature a superior design, complete with the necessary security features required to safeguard your belongings for a short or long period of time. We offer the lowest price guarantee, so you don’t need to worry about racking up lofty expenses for your disaster storage. Our friendly and considerate team will carefully move your things into your portable storage unit as soon as the need arises, and will delicately move them out when you are ready. Above all else, we want you to be able to get back to your regular life as quickly as possible after a disaster, and we will happily do whatever we can to help make that happen! 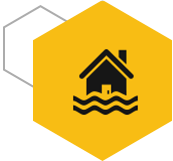 If you are in need of secure self-storage to protect your belongings after a disaster, call Yellow Box at 844-314-3777 or reach out to us online to order portable storage containers. If you have any questions about our disaster storage services or what we can store, please do not hesitate to contact our friendly customer service team.